Hearing loss affects nearly 38 million Americans, with a prevalence of one in every three people over the ages of 65. If you suspect you may be suffering from hearing loss, the first step is to schedule a hearing test with a qualified audiologist. Having your hearing tested may cause feelings of anxiety or nervousness, but rest assured the exams performed by our professionals will be noninvasive and pain-free. So, what should you expect when it comes to having your hearing tested? The audiologist will conduct a series of tests to determine if you have hearing loss, and if so, the amount of benefit you should expect from the use of hearing aids. The series of tests the audiologist will perform depends on your symptoms and medical history. Don’t worry, these tests are completely pain free and relatively simple. 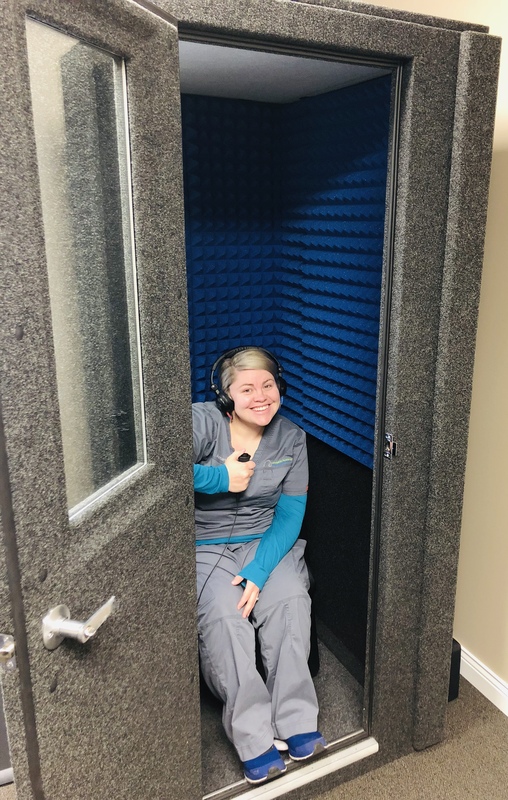 Audiology tests generally involve wearing headphones, pressing a button when you hear a beep/sound, and verbally repeating words or sentences at different volume levels. These tests should not take an extended amount of time and will provide the audiologist with important information regarding your hearing health. Our audiologists will examine your test results to determine the proper course of treatment for your hearing difficulties. The audiologist will discuss what sounds you’re struggling to hear and how hearing aids may improve your listening experience, if appropriate. Hearing aids are the most common form of hearing loss treatment and provide users with a variety of auditory and systemic health benefits. Our audiologists will walk you through all the available hearing aid options, and will make recommendations based on what’s most appropriate for you.